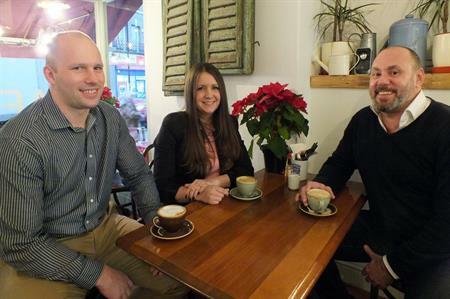 Katie Knight, Mark Scales and Arran Cruickshanks among 20 new starters in January across EMEA region. A plethora of new faces have joined BCD Meetings & Events in EMEA this month. The agency, which has recently integrated Grass Roots M&E in to one single business entity and has also set its ambitions to double its size in the next two years, is kicking off 2019 with 20 new starters. Among them are Katie Knight, who has joined as senior director life sciences centre of excellence, Mark Scales who is creative director of creative solutions EMEA and Arran Cruickshanks as account director. Knight has more than 20 years experience across the M&E industry, predominantly in life sciences, where she has delivered strategic and operational excellence across all elements of the market. Cruickshanks joined the M&E world following a career as a professional sportsman and has held a number of roles within the industry, with responsibilities from account management to operations and client growth. "We’ve made no secret of our ambitions to increase our presence in the industry across EMEA and of course having the right talent in place is absolutely key to this," said David Taylor, VP sales & marketing. "As a business, we’re thrilled to welcome Katie, Mark, Arran and all our other new starters to the BCD M&E family. It’s an exciting time to be joining us and we can’t wait for them to bring their experience, knowledge and enthusiasm to the business." Scales most recently spent four years at Banks Sadler as their head of event solutions. With more than 18 years in the event industry working at agencies such as Jack Morton and Capita Travel & Events, Mark brings a wealth of experience.